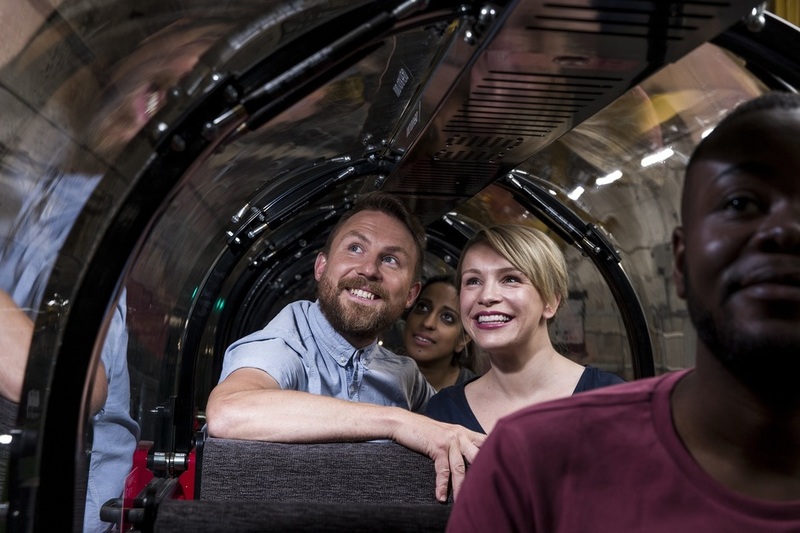 Explore the history of the Royal Mail at The Postal Museum where you can go on an underground adventure through narrow tunnels not used since 2003. Opened in 2017, the museum's Mail Rail takes you on a 15-minute journey through the original 100-year-old rail network which runs from Whitechapel in east London to Paddington in the west. On the way you'll discover, through a theatrical audiovisual show, how this hidden labyrinth was considered so clandestine that it was used to hide the Rosetta Stone during the First World War. In the main galleries the history of Royal Mail is revealed and shows how intrepid postal workers used to gallop 217 miles in a week on horseback to deliver the mail for Elizabeth I. For younger visitors, aged under 8, Sorted! is a great postal-themed play space where little ones can sort the mail and explore a mini city. What are the best dining options near The Postal Museum and Mail Rail London? The Postal Museum and Mail Rail gyms, sporting activities, health & beauty and fitness. The best pubs near London The Postal Museum and Mail Rail. The Postal Museum and Mail Rail clubs, bars, cabaret nights, casinos and interesting nightlife. Where to have your meeting, conference, exhibition, private dining or training course near The Postal Museum and Mail Rail. From cheap budget places to stay to luxury 5 star suites see our discounts for The Postal Museum and Mail Rail hotels, including Crowne Plaza Kings Cross from 86% off.